Jeff Otis is President and Chief Executive Officer of Grand National Apparel Inc., a Canadian menswear supplier. He has served on numerous advisory committees and task forces at the federal and provincial levels, including as Chair of the Federal Advisory Group on International Trade for Apparel and Footwear and Co-Chair of the Canadian Partnership for Ethical Trading. 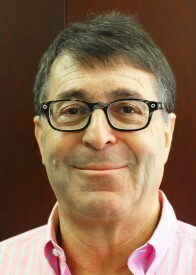 He is the Immediate Past President of the Canadian Apparel Federation and the Canadian Apparel Manufacturing Institute.